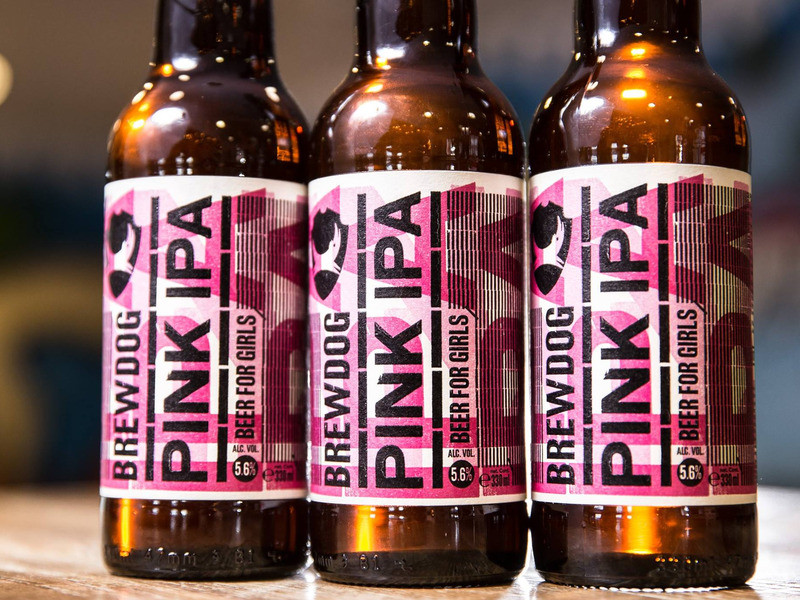 BrewDog released a “beer for girls” called Pink IPA, intended to satirize the beer industry. 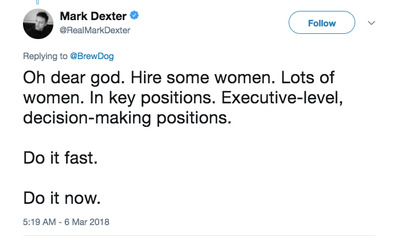 However, many women saw the beer as part of the problem. BrewDog’s attempt at a “satirical protest beer” for girls is falling flat for many women. 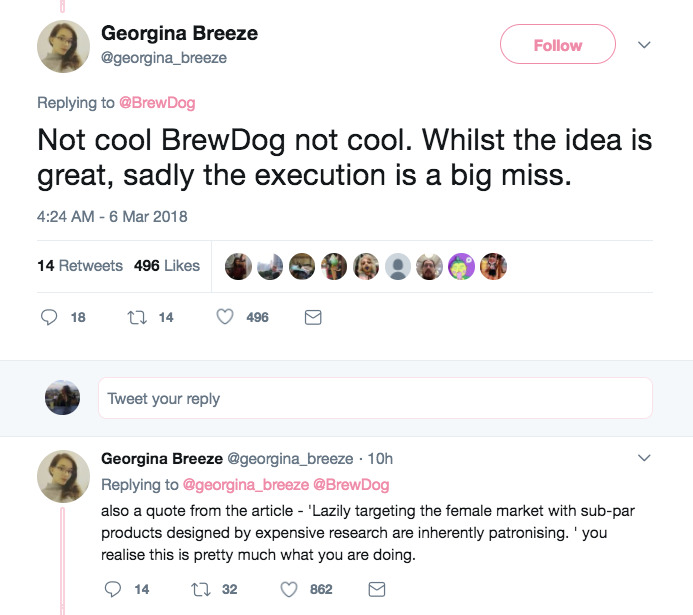 “BrewDog will be using its most iconic beer, Punk IPA, as a weapon in this fight, packaging it in lurid pink and renaming to Pink IPA – a send-up of the lazy marketing efforts targeting the female market,” the brewer said in a statement. 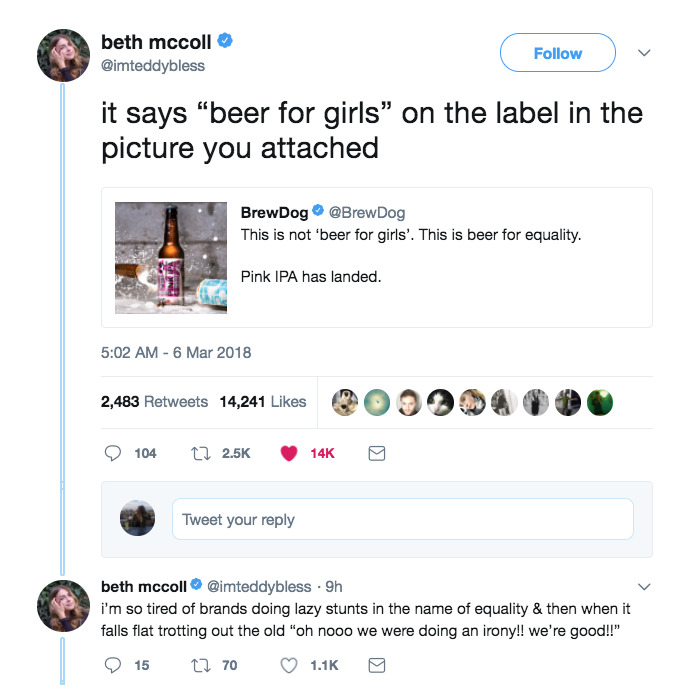 The company is also serving the beer at 80% of its standard price to customers who identify as women, as a nod to the gender pay gap, as well as donating 20% of profits to organisations fighting gender inequality. However, while BrewDog said the beer is intended to “trigger questions about why women continue to earn less than their male counterparts,” many women saw Pink IPA as part of the problem. 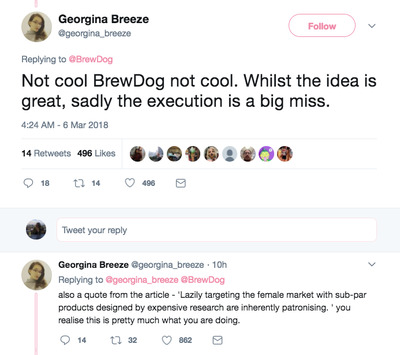 “Still building into a ridiculous stereotype that damages women in the beer industry,” another person commented on BrewDog’s Facebook post about Pink IPA. 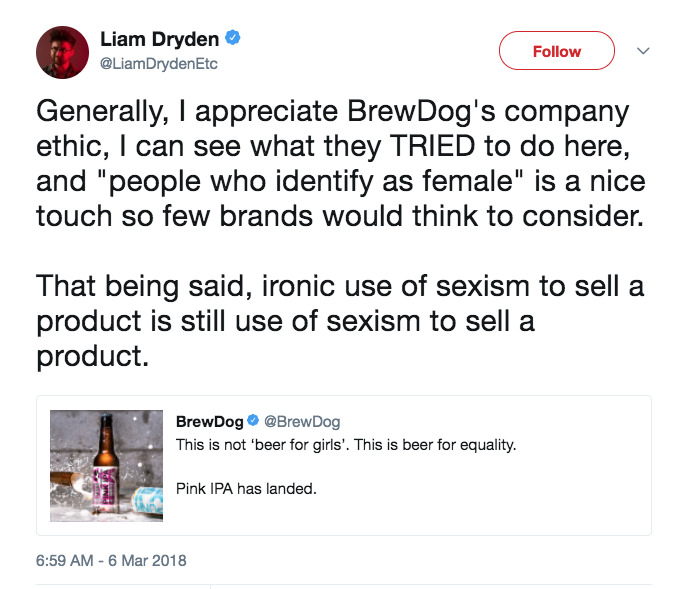 “Pink IPA is clearly an over-the-top ridiculing of the types of sexist marketing we often see from brands trying to engage a female audience,” Warman said in a statement to Business Insider. 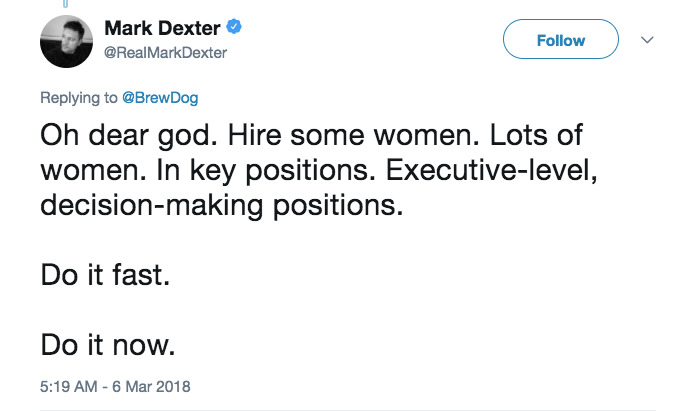 The beer industry has historically struggled to win over women drinkers, who tend to prefer wine and liquor. 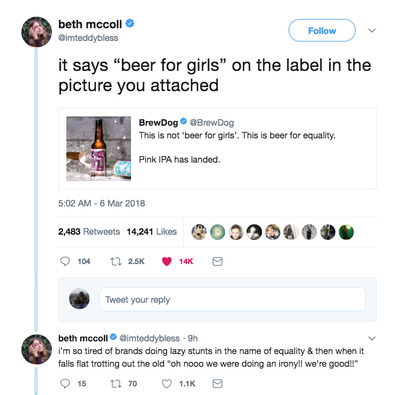 Some brewers’ attempts to fix the problem, like a beer that branded itself as “the first beer for her,” have been mocked as sexist in their reductive portrayal of women.